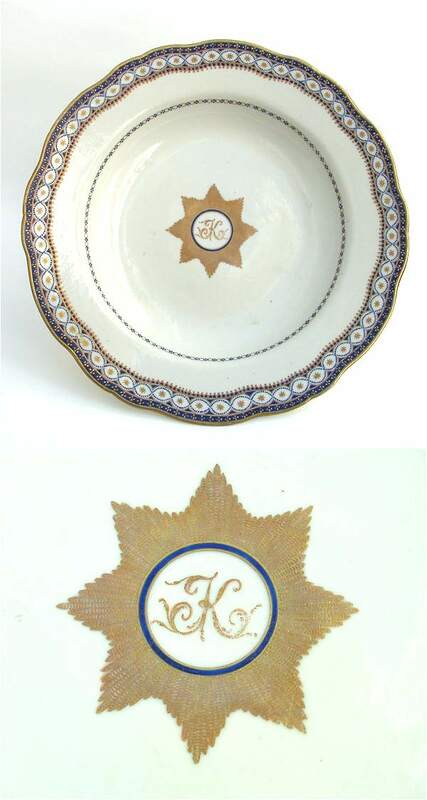 Chinese export porcelain plate with special order design, "JK" within the Order of the North Star is likely to have been made for the Swedish market and between 1790-1813, when the Swedish East India Company ceased to operate. Similar stars are also found on North American market export porcelain porcelain. The initials "JK" or possibly just "K" are until further not identified.